As a community radio station there is a ceiling on your revenue from commercial activities and advertising. You cannot receive more than 50% of your income from a single funder. You will be very lucky to access all the money you will need from a variety of grants and donations. So the chances are you will need to do all of these things and more in order to survive and thrive. To generate the income your station will need to run as a business. Your business activities may be more or less restricted if you are structured as a charity or a non-profit distributing social enterprise (see here), but the principles remain the same. Involves raising and earning money in a wide variety of ways. Requires you to be businesslike. Does not require you to sacrifice your identity or principles. It may mean you need to be hard-nosed, even ruthless at times, but only so you can use your resources and your ideals to get the most out of your station. Your community should thank you for that. A community radio station that is run poorly as a business will soon become a poor community radio station – in every sense. This chapter will highlight some of the possibilities for earning revenue as a community radio station, and show how you can access them without losing your identity and ideals. Whether you are a charity or a not-for-profit company, what you are doing is gaining revenue from services offered, with the aim of social gain. That revenue is then reinvested into your project. That, by most definitions, makes you a social enterprise. The emergence of social enterprise over the past two decades has been spectacular. This is largely because of political changes – particularly the use of independent companies to deliver services which until the 1980s and 90s would have been delivered directly by local or national government. Even the Department of Trade and Industry (DTI) admit they have no idea as to how many social enterprises are currently active in the UK, but including charitable trading arms, estimates are as high as 700,000 – and growing by up to 10% per annum. Their activities range from waste management and recycling to housing provision; from childcare to hospice care. Mark Kelly, Subliminal Directions Community Media Project, Fife. Despite their prevalence, there is still a lot of public ignorance about what a social enterprise does. They expect you to behave as a charity, cap perpetually in hand. Or they imagine you as a purely voluntary organisation, and are offended that any staff member would take a fair wage to do something for the public good. Worst of all, they may imagine you as an entrepreneurial parasite, creaming the public purse for personal gain. Work like any other business, albeit in socially beneficial industries. Trade, employ staff, and seek to turn a profit. Invest any profits back into the company (or spent in pursuit of the company’s goals) rather than allocated to directors, owners or shareholders. Being a social enterprise, you have some advantages. Local and national government have a vested interest in encouraging their success and there is a wide variety of support on offer. This occasionally takes the form of financial support – particularly with start-up costs – but more commonly with legal and business advice, training and so on. While some funding bodies (usually charitable trusts) still restrict their grants to registered charities, there are increasing numbers of funders willing to issue grants to non-profit distributing companies as well. Are socially-beneficial companies that reinvest any profits in their own activities or for the benefit of the community. Are supported by local and national government. Are not necessarily accountable to their communities in the way you must be. It is worth remembering that social enterprises do not necessarily need to be accountable to anyone, but community radio stations do. A company with only one or two directors could function entirely honourably, distributing profits within the community and doing excellent work, but it would not be grounded in its community in the way OFCOM would require. So working as a social enterprise is an important part of your identity, but not the whole story. Chasing money can be a dangerously addictive activity. The more money you attract, the more you spend and the more you need. There can be a sudden high that comes from a successful grant application or contract negotiation. Like any addiction, it can distract you from the more important things in life and eat away at your sense of perspective. It’s vital that you don’t let pursuit of money distract you from your core functions of providing access to the airwaves and social gain to your community. All of your business activities should complement and support the good work that you do. In an ideal world you would look for ways to be paid to do things you want to do, never do things simply because someone will pay you to do it. Unfortunately the world is far from ideal, and every community radio station will find there are compromises that need to be made. There are also endless value judgements to be made about the ethics of certain business deals, particularly in relation to commercial activities such as advertising. Should be in place before you need them. Should help you make tricky decisions. Should be backed up by consultation and management structures. Ensuring that the pursuit of social gain and access to the airwaves is always top priority. Only undertaking activities that are not detrimental to the welfare, happiness and reputation of the community. Never undertaking activities that would be detrimental to the reputation, good standing and popularity of the station. Never undertaking activities that would be seriously divisive within the community or cause unreasonable offence to sections of the community. Never undertaking activities that are seriously detrimental to wider social justice or the environment. Even within these broad limits there will be endless arguments. If a company wanted to give you a thousand pounds to promote the conversion of your local park into an asbestos dump, your decision should be (hopefully) straightforward. But what if an airline offers you a prize of ten free flights to Florida? Does the airline’s excessive contribution to global warming outweigh the marketing opportunities for the station and the personal benefits to your listeners? It must always be possible for the person making such decisions to refer up to the board or representative committee for the final decision. Your management and accountability structures must take this into consideration. In one sense, the services and resources you have to offer are quite simple: publicity; audio production; training; expertise etc. But that is not what makes you unique. The one advantage that you have over all your business rivals (whether they are commercial radio stations, rival service providers, other media or whatever) is your place and status within the community. Advertisers. You can reach specialist audiences for businesses selling to particular sections of the community. That may be members of particular ethnic groups, fans of particular styles of music or groups with particular shared hobbies or interests. Moreover, community radio audiences may be more attentive than commercial equivalents and sympathetic to businesses that choose to invest in the station. Should never be sacrificed to your business activities. Service providers. Statutory agencies often struggle to promote their services to those in the community who need it most. Leaflets pushed through doors are ignored, pages in the newspaper are turned over, away from adverts or articles. 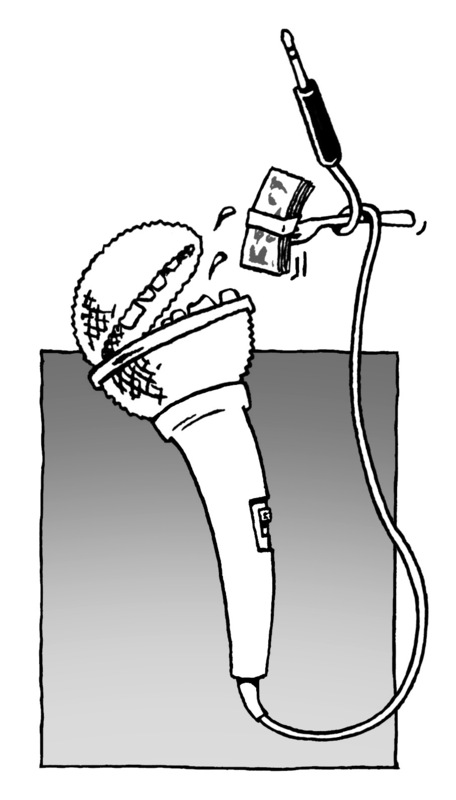 Commercial radio may be unaffordable or uncooperative. More importantly, information relayed by a trusted community radio station may be treated with less suspicion and cynicism than other platforms. Funding bodies. Funders don’t throw money at organisations because they feel sorry for them, they invest in projects that they believe will get results. Your relationship with your listeners opens up unique opportunities for social and economic regeneration funding, educational funding, health, community cohesion and social welfare funding and much more. In other words, your relationship with your listeners is crucial to every aspect of your business activities, and you must never allow those business activities to destroy it. That means not alienating your listeners with excessive or inappropriate advertising, not letting your programming be led by financial, rather than editorial concerns, and not sacrificing your community identity to the pull of filthy lucre. But may not be as lucrative as you think. Advertising (either in the form of ‘spot ads’ or commercial sponsorship of particular shows or strands) is how commercial radio stations (attempt to) make money. Their equation is simple: the more listeners they attract, the more advertising they sell and the more money they make. With community radio it is not that easy. We need to not only consider what is of benefit to the station, but also what is of benefit and interest to the community. Martin Blissett, Station Manager, New Style Radio, Birmingham. When you do run advertising, there are some ugly questions that soon arise: On the other hand, there are large variations from station to station and OFCOM are wary of extravagant claims of advertising income by new community licence applicants. Especially in the early days, it is by no means assured that advertisers will come rushing to you. It may well be that you need to prove your worth as a community station through other means of funding before you can begin to earn significant revenue this way. Ethical concerns. Do you want to help sell products that may be harmful to your community, wider society or the planet? Editorial concerns. Will your pursuit of advertising revenue affect your decisions around programming and scheduling? Impact on volunteers. How will running advertising affect their motivation and commitment? Impact on listeners. Will the advertising annoy your listeners and even cost you listeners? There is nothing in the regulations to prevent you from taking large sums of money from infamous multinational companies, but is that what your community really needs? In many cases the answer will probably be no. But where do you draw the line? Personal morality. Would you accept an advert from the local Ann Summers party organiser or a market stall selling violent DVDs? Controversial industries and local employers. You may have a large local factory with questionable environmental credentials, but which provides the best employment prospects in your town and has a generous policy of donations to local community causes. You won’t want to risk making powerful enemies by snubbing their offers to advertise. Trade-offs between ethics and community interest. The local pub may be the social hub of the community, but selling alcohol could hardly be described as an ethical business. Likewise, publicising the local organic butchers may be welcomed by some, but not by Hindus or the local animal rights group. There are no right and wrong answers to these questions, but your ethical policy should provide guidance. The best policy is to be open and consistent in all your decisions, and be prepared to justify why you accept one ad but not another. Commercial considerations should affect your editorial policies as little as possible. Decisions about the radio you broadcast should be based on the wishes and needs of your listeners and volunteers, not the needs of advertisers. There will be times however, when minor changes to your scheduling can have a significant impact on your advertising revenue and you would be foolish not to consider them. For example, if there are a large number of Asian businesses looking to reach their own customers, you might want to place your special interest / foreign language shows at a time in the schedule when Asian housewives are listening – perhaps early afternoon rather than mealtimes, when the radio will be turned off in many such households. This does not undermine your obligation to provide access to the airwaves or to serve under-represented communities. In fact it may do the opposite. By listening to the needs of your advertisers you can pick up some useful advice about how best to serve your community. Their concern is the same as yours – to attract the largest number of listeners from particular sections of the community. That is not to say there may not be conflicts of interest between the station, its listeners and its advertisers. While it is useful to be open to suggestions, your advertisers should never dictate or interfere with the content of your shows indeed the regulations state that advertisers and sponsors must have no influence on these matters. Presenters and guests should be free to broadcast as they see fit. If broadcasters want to discuss the health benefits of yoga, they should do it for its own sake, not because the station has won (or is chasing) an advertising contract from the local yoga class. …but the needs of raising commercial revenue should be taken into consideration when other factors are equal. You must also keep a close eye on OFCOM and the Advertising Standards Authority’s rules on this subject (more here). We would also warn against volunteer presenters being too closely involved in their own advertising or sponsorship. Shows and strands should be sponsored, not presenters. For example, imagine that a specialist DJ has a good relationship with a local record retailer, who sponsors her to the tune of a say £50 a show. If you then have a disciplinary problem with that presenter, would a decision to suspend her be worth £200 a month? Or more mundanely, how would the money affect your schedule rotation policy? You should never be placed in the position of having to make those decisions. It is highly desirable to have volunteers actively involved in finding advertisers and sponsorship. It may even be worth considering offering a small commission to volunteers who do persuade their employers, friends etc. to advertise. But it must be clear that any contracts signed are between the advertiser and the station, not tied to one presenter. The relationship a station has with its volunteers is crucial to its success. You depend on your volunteers to function properly as a station, in everything from broadcasting to washing up. Your volunteers come to you because they want to be involved in radio, but also because they believe you are working to serve and help their community. Commercial advertising does not always sit easily with that ethos. If it begins to look like you are more interested in helping people sell things than you are in improving your community, their motivation may be adversely affected. Or more commonly, they may not want to spoil the flow of their impeccably mixed drum and bass show with an advert for the local Sure Start nursery scheme. The key, as ever, is communication and participation. If volunteers are consulted about any changes to your policy on commercial advertising, if they understand and agree with the reasons why you take advertising, then they are likely to be co-operative. If they feel like unpaid cogs in a money-making machine they are likely to rebel. May not really want to play adverts. Must be informed of and agree with the reasons why you need advertising. Should have their feelings respected if they object to particular ads. Some advertising is more appropriate for some shows than for others, of course – you won’t want to advertise a youth service during a show for senior citizens, for example. So you will already be thinking about which adverts to run on which shows. Careful placing of your advertising is good for the clients, but can also give you room for manoeuvre if particular presenters have issues with particular adverts. A vegetarian should not be compelled to run an advert for a butcher’s shop, for example. In rare cases (such as ALL FM’s Under the Pavement show – the VoxBox at the end of Regulation) commercial advertising may be downright incompatible with the editorial content of the show. In such cases, it is important that some alternative content – such as station trailers and jingles, community notices or announcements for non-profit services – are run in their place. This will keep your broadcasting identity intact, and prevent other presenters feeling like special favours are being given elsewhere. Have an infinitely varied tolerance for advertising. Should not be driven away by advertising. Should be considered in all decisions about on air advertising. Don’t swamp your broadcasts. Commercial radio may play 15 minutes or more of advertising in any one hour. If you can limit your advertising breaks to once or twice per hour, listeners will be much more tolerant. Group adverts together. It is much less irritating to have three minutes of advertising once in an hour than it is to have thirty seconds of advertising every ten minutes. Use a standard format for your ad breaks – for example by always having a station sting at the beginning and end. Make your adverts sound as good as possible. If your ads are pleasant or amusing to listen to they will be much less objectionable than if they are rough and clumsy. Don’t allow presenters to complain about playing adverts or apologise for it. That merely plants doubts in listeners’ minds. Have enough adverts in rotation at any one time that listeners don’t get sick of hearing the same one ten times a day, seven days a week. Encourage every member of staff, volunteer and supporter of the station to be constantly on the lookout for potential advertisers. Whenever anyone is talking to a local businessperson or trader, the question ‘so who do you advertise with at the moment?’ should come up. Some people are better (or more shameless) than others at doing this, but everyone can be involved. Network at gatherings of local businesses and keeping close links with business umbrella groups. Prepare a well designed media pack containing information about the station, your ideals, your listeners and the advertising packages and rates you offer. Include an audio CD with examples of your advertising. If any potential client shows an interest, get it to them the next day. Use your advertising spots to attract more advertisers – a ‘you are listening to this, so are your customers’ type of ad. Offer free or discount trials for first time customers until you prove your effectiveness. Consider advertising partnerships with any local community newspapers or other community media. Different advertisers will have different needs, different requirements and different expectations. Some may employ marketing professionals who know more than you about the process and jargon of media advertising. Others may be sole traders who have never advertised anywhere before and need to be guided through every step. All of them will wish to be dealt with in a professional and businesslike manner. What message do they want to convey? The answers to these questions will form your creative brief. That will then go to your production team (perhaps trained volunteers) who will create one or more scripts or dummy ads for the client’s approval, with any changes they may feel are necessary. It is worth being clear about how much time and how many resources will be put into creating their advert, you will not be able to spend weeks with one client as they continually change their mind or grumble about tiny details. Will probably need to be actively sought out. Will expect a professional and businesslike relationship. Should be consulted afterwards for evaluation and promotional purposes. As you develop a professional relationship with your client they will tell you about the effectiveness of the ad and their satisfaction with it. It is worth following up your advertising contracts with a short questionnaire. If your client is delighted with the effectiveness of the advertising, you can use that to woo future clients. If they are less delighted, you can use that knowledge to examine where you went wrong and improve your performance. Both you and your client must have realistic expectations, and understand that adverts are rarely instantly effective. It is widely assumed that listeners must encounter an advert at least six times before they notice it. It may then take several more encounters before they act upon what they hear. Advertisers often find it is the second or third week of broadcast before they notice the effects of their effort, but that those effects can last much longer than the advertising period. See the Ofcom/ASA section of Regulation for a Must Read guide on advertising script clearances. One useful tip for attracting advertising is to become passably good at it. Radical, huh? Maybe not, but it is depressing how many radio ads (and not just on community radio) are woefully under-prepared. Your clients are unlikely to be recruiting advertising agencies to create a perfect 30 second work of persuasive art. More probably they will want and need you to make (or help to make) the ad for them. If you create adverts that are dull and ineffective, you are unlikely to generate the kind of testimonials and word-of-mouth recommendations that you will need to attract future clients. An advert with the ‘wow’ factor will do wonders for your client relationship. If there is no-one at the station with experience of marketing and advertising, it would be worth someone putting in some time with reference books and research. In planning an advertisement, very often your role will be to imagine yourself in the role of the listener. Your client may have a long list of things he would like to convey. You may have to explain that often less is more, and that listeners really don’t care that the local baker has a new 5000 watt mega oven that is his pride and joy – they want to know the bread tastes good. In other words, you must first make the listener aware of the product or service, then make them interested in what you are saying, then make them actually want that product or service, then make them do something about it – visit the shop or phone the number. That’s a lot to achieve in 30 seconds, but if you look at advertisements in any medium (from radio to TV to billboards) – it is possible to see the same strategy underpinning many very different ads. Grants are the principle source of income for most community radio stations. There is an endless list of trusts, charities, local, regional, national and European government pots, and innumerable other funders who may be willing to grant you small or large amounts in return for agreed outcomes. They range from the enormously wealthy and powerful (European Social Fund, Lottery Commission) to small local memorial trusts. It is one thing to know that the money is out there. It is another to identify precise grants that may be available to you and persuading the funder to give you the money. Good fundraisers develop an intuitive sense for where money might be available. The process of identifying and applying for funding can be so time consuming that you could spend every minute of the working day doing it, so it is crucial that you are smart about identifying which grants are worth applying for. As a general rule, you are unlikely to find many funders that will pay you to make community radio, but you will find funds that will pay you to do many of the things you need to do in order to make community radio – training; community development; youth work; tackling joblessness etc etc. Such funding should include a contribution towards staff salaries and other overheads. Most of your activities should be highly appropriate for grant funding, and if they are not you should really ask yourself some questions about the nature of your activities. Is an art in itself, and you improve with experience. Needs eternal vigilance and alertness. Requires you to think about what you do and how you do it. Visit your local voluntary sector umbrella group, they should have someone who advises on fundraising who will talk you through your options. Sign up to email lists, newsletters and bulletins, such as the Charities Information Bureau, NCVO’s funding newsletter, Artsnet, Mailout magazine etc. Think about how you could tailor your activities to make them more attractive to funders. Network with / talk to individuals involved in awarding grants and funding. Talk to the liaison or outreach workers employed by larger funding bodies. It is their job to find people to give money to and they will be delighted to explain how your project could fit into their funding criteria. At local levels, many decisions about funding are made by a relatively small number of local VIPs, including councillors, executive officers and other local dignitaries. Winning the favour of these people will be useful for identifying potential sources of funding – it’s not uncommon to find out about grants from conversations that begin ‘have you heard about the new…’ Such networking may even help your grant applications through. Although most grants are awarded on a tick-box scoring system, at some stage there may well be a human value judgement made about whether one project is more worthy of funding than another. If the people on the committee know your station and are already convinced of your worth, that must help. Of course you must stay within the rules of fair play and honesty. You won’t do yourself any favours by plying committee members with gifts or sending them bottles of whisky at Christmas. But there is nothing wrong with inviting key players to visit your station and wowing them with the energy and activity on display. Nothing sells community radio like seeing it in action. If you are a little clever you can find out what particular interests your visitor has (youth work, public health, community arts or whatever) and draw particular attention to your activities in those areas. Will significantly improve your chances of finding funding. Should stop slightly short of bribery. Should never spill over into taking sides on political questions. Little touches – for example, sending your councillor or MP a congratulations card (and invite to interview) on their re-election, regardless of their (and your) political allegiance – are entirely legitimate tactics in getting your project noticed and remembered. Politics with a large ‘P’ is of course to be avoided at all costs. Your station could get in deep trouble if it is perceived to be too closely tied to one political party at local or national level. One of the dangers of ingratiating yourself with political players is that they may sometimes try to bring you onto their side in their own political battles. This must be avoided. But playing politics with a small ‘p’ – negotiating, networking, bridge-building, conversing, cajoling and persuading – is an invaluable skill for those who run community radio stations. It is all about building your reputation and building confidence in your ability to deliver. It can reap also great rewards. As we noted earlier, it is relatively straightforward to find project funding – money you are paid to work with particular groups to achieve particular outcomes. Finding someone to pay you to be a community radio station is much harder. There is little point in bringing in £100,000 in project funding if you still have no money to pay the electricity bill or the wages of your station manager. Some core funding is available. The government’s Community Radio Fund exists for precisely this purpose – this is welcome of course, although the amount of money available at the time of writing remains disappointingly small in comparison to the size of the emergent community radio sector. Some local authorities also maintain specific core-funding budgets for voluntary organisations. 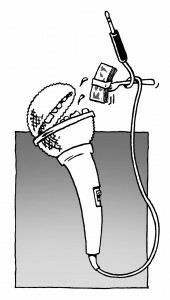 In practice, we have never heard of a community radio station that covers all their core costs through direct funding. The gap must be filled by a combination of other commercial activities (advertising etc) and the money that can be squeezed out of project funding. Many funding bodies (e.g. Big Lottery Fund) understand that voluntary sector organisations need a contribution to their ‘on costs’ to survive, others specifically rule out such funding. Although it may be painful to turn down money, sometimes it is necessary to do so. Think of core funding as the foundations of a building, and project funding as the bricks and mortar above ground. If the bricks are built too high and the foundations aren’t deep enough, the building will blow over at the first huff and puff from the Big Bad Wolf. Is essential if you are to survive. Can be partly done through specific core funding grants. Will mostly be done through a percentage of your project funding. Requires creativity in your grant applications. In budgeting grant applications, it is reasonable to expect that around 20-25% of the money should go towards keeping the station running. To obtain this funding, a degree of creativity is sometimes required on the application form. It may be that the grant-awarding body excludes core funding when described as such, but will happily pay for a few hours a week for the time of each member of staff – if it is demonstrated that the administrator, station manager and producer will all have some input into the project. Or it may be that they won’t pay a contribution to the maintenance of the station, but will pay rent for facilities used by the project. The end result is exactly the same, it is only the wording that needs to change. There is nothing fraudulent or dishonest about this as you will deliver the promised outputs for the funder in a manner that matches their rules, and the money you claim will be spent on that. Indeed the liaison or outreach workers employed by the funder will often happily talk potential applicants through the best wording to achieve the desired results. Your community radio station has been established with a particular mission, to improve your community and provide access to the airwaves. Funding bodies have their own mission, to provide the finance required to achieve particular aims. The place where those missions overlap is where a successful bid will be born. Dave Chambers is from Preston FM and had many years as a civil servant some of which involved assessing funding bids – here he gives some tips to successful bid writing. Before beginning to fill in an application, you need to be sure you are quite clear about what the funder is wanting to achieve. Usually the fund will have been established to achieve clearly defined goals. The exceptions are usually smaller charities that can be rather vague about their aims and are merely looking for good ideas. Even with these, you need to work out what type of project they like to fund and push the right buttons. Read everything before you begin: the form, the documentation, the guidance notes and the website. Talk to the liaison or outreach officer at the funding body, if there is such a person. They are employed to help you access the money and will be only too happy to help. Find previous successful bidders to that fund and ask if you can read their application. Do not then use un-edited chunks of it in your bid! Put yourself in the shoes of the person reading the form. You are not feeding this information into a sausage machine, someone will be opening your envelope and reading the contents. Take care with your presentation, spelling etc. If there are word limits, stick to them. If there aren’t, don’t waffle. Bear in mind this person will have a stack of envelopes to wade through. It is your job to get yours to the top of the pile. Tell them about the most impressive parts of your project early on. Catch their attention. Where it asks you to make an introductory statement, sell yourself as enthusiastically as possible. Don’t think you have a right to any funding. You might be performing the most valuable function in your community. Your community might have been oppressed and repressed for generations, but that does not give you any right to the funders’ money – they can only operate by rigid criteria. However worthy your project might be, unless you tick the right boxes it counts for nothing. Don’t get carried away with claims and ambitions. You may have to restrain your passion for the project and be clinical and realistic about what you can achieve. Requires a full and detailed understanding of the funder’s purpose and mission. Gives the funder a welcome opportunity to give you money. You are not trying to mug them, you are trying to help them. When your application is being judged, often each box will have a numerical value, with all your answers adding up to a final score. Some funders will tell you how much each box is worth, and if they do, use that to guide your answers. Don’t leave it to the last minute before deadline – post gets lost and email servers crash. Get your application proofread, ideally by someone who doesn’t know your project. But give them plenty of time to do it. Write in plain English – never presume knowledge but don’t treat them as idiots. Don’t try to prove how clever you are with long words. Clear layout of the longer parts of your application (e.g. using bullet points or bold to highlight) won’t score you extra points but may stop a reader nodding off. Double check you have included everything needed (accounts, documentation etc) and that the form is signed and dated. In all your applications, bear in mind that grant-awarding bodies really do want to give their money away. They will think they have failed if they do not receive any applications that they can accept. Your applications should always be framed in terms of the opportunity you offer the funder to achieve their stated objectives. Audio products. Whether as content for a website, a soundtrack for promotional video or as a self-contained audio product. Corporate events. Many companies have ‘away days’ where employees are given the opportunity to learn Tai Chi, go paint-balling, or indulge whatever whim the managing director has dreamt up this month. Learning to make a radio show is an appealing activity for such occasions, and with so many transferable skills involved, a useful one too. Needless to say, such ventures can be extremely lucrative for the station but time consuming also. Studio and equipment hire. If you have spare capacity in any area – for example a training studio that lies empty for two days a week, or IT equipment that is needed while training is in progress but sits idly at other times, put them to work. Offer your facilities to other community groups at friendly rates, and to businesses at commercial rates. Can come in many shapes and forms, so be imaginative. Should get the best out of your resources, not use up your resources. As with all commercial activities, it is crucial that in pursuing extra money you do not lose sight of your purpose as a community radio station. If your volunteers are complaining that they can’t prepare their show because the studio is being used to make a corporate CD, then you have a problem. Your staff will be paid to do many things, but their job description is unlikely to include babysitting a team of chartered accountants on a team-building away day. All these activities must be conducted to make you a better community station, not a richer one. Membership scheme. This is the usual funding model in Australia, where community radio stations are sometimes the only point of communication and information for widely scattered populations, and so have immediate, obvious value. Local supporters and listeners are asked to pay an annual subscription, and may in turn receive benefits (such as a monthly raffle draw, discounts to other members’ services or tickets to events provided by your community partners.) This has the advantage of bringing your community closer to you and increasing the sense of ownership. But it may be difficult to attract significant numbers of supporters, particularly in economically disadvantaged areas, and especially in early days, when your worth to the community has yet to be proved. Local fundraising events. In the USA and many other countries, community radio stations pay their way with garage sales, charity shops, benefit nights and so on. As with membership schemes, these serve a dual purpose of raising money and increasing the sense of ownership within the community. If a listener has helped pay for your existence, they will feel much more closely attached. Is a great way to increase your profile in your community and to increase your community’s sense of investment in the station. Is a rather inefficient way of making money, so shouldn’t be depended upon. The big problem with community fundraising is that it can be incredibly inefficient. A membership scheme that takes weeks to set up and weeks more to publicise may only attract a handful of members. A jumble sale or benefit event might take a team of volunteers weeks to organise and then raise a few hundred pounds. In the immortal words of Chris Morris, interviewing the organiser of a celebrity jam sale on the BBC’s The Day Today: ‘That’s pathetic – you’d have made more money sitting outside a tube station with your hat on the ground!’ But this is not necessarily the point. The actual process of raising money this way is an incredibly useful one, strengthening your place in your community. That has a value beyond sterling. And of course the money – however modest it may be – comes in handy too. Anyone involved in running a community radio station will spend a frightening amount of time thinking about money. It is easy to forget that there are other ways in which you can seek support beyond funding. There are all sorts of organisations who may not have any spare money to give you, but are willing to help in other ways. Much of this is simple bartering and contra deals. Your local paint shop might give you a few gallons of paint for your redecoration, in return for a friendly mention on air, or simply because it is taking up space in the yard and they need to get rid of it. At the more formal end of the spectrum, many medium to large scale companies now have an expressed commitment to corporate social responsibility (CSR). This is the theory (heavily backed by the Department of Trade and Industry and most business advisers) that it is in a company’s own interest to support and serve the communities from which they prosper. The logic is that the more secure, successful and affluent a community becomes, the more economic benefits and commercial opportunities will arise. CSR is also valuable to companies in terms of their marketing and public relations policies, and can also add to the experience and skills of their staff. Loan or donation of facilities and equipment. IT facilities, meeting rooms, furniture, stationary, audio equipment; whatever you might need there is a chance that there is a company nearby who may be willing to spare you what you need – for a brief period or even for keeps. Secondment. There are many companies who have large teams of professional staff, any of whom would be incredibly useful to a community radio station. Legal firms, accountancy firms, marketing and advertising companies, IT firms etc. Even the BBC and commercial radio stations may be prepared to lend you an experienced staff member. If you can persuade one of these companies to let you borrow a member of staff for a few weeks, the value to your station could be immense, while the staff member on secondment might gain valuable experience in a different setting and gain a whole new perspective on their work. Company ‘volunteer’ days. Some companies will persuade their employees to give up a day or two of their time to work on a voluntary project – for example a ‘barn-building’ project such as redecorating a community radio station or conducting some kind of sponsored activity for your benefit. In some areas the local Chamber of Commerce or Business Link will have a resident CSR co-ordinator, whose role includes pairing up willing companies with appropriate community projects. Make yourself known to such people and of course, use your existing networks and partnerships to press the CSR button of local businesses. Offers useful non-financial support to your activities. Can be accessed through corporate social responsibility practices. It is often the case that the most unlikely people are enthusiastic about a community radio project (see Box ** above). Make it known that you need their help and you may be astonished at how willing they are to help. As with so many other dealings, a neck of pure polished brass is required. There are other ways in which bartering and trading in kind can be formalised. LETS (Local Exchange Trading Schemes) or Timebanks could give you good access to skills in your community, and more commercially minded web-based barter schemes are emerging constantly. These activities will never become the mainstay of your long-term survival, but can occasionally provide useful operational support. The Know-How Non Profit site has a mass of resources on – in this case – funding.